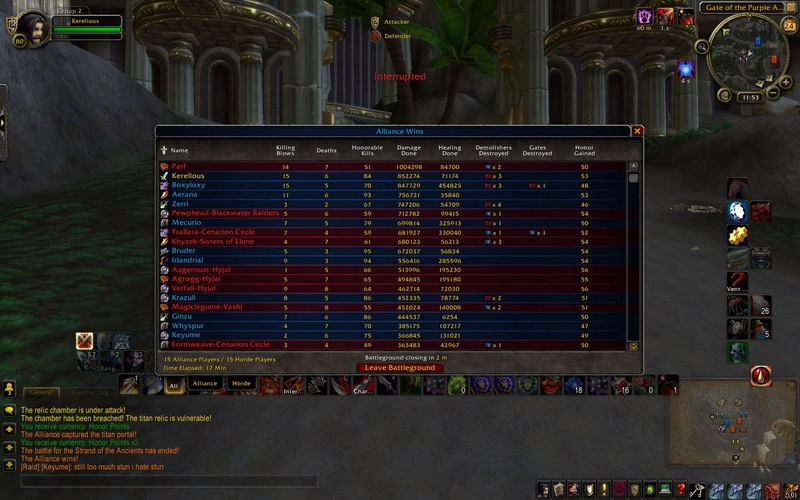 We killed in a huge run of battlegrounds, welcome some new additions to the Alliance in style! Eventually we moved onto achievements, and had the best time in EotS trying to get Stormtrooper. First we tried to get the Horde to take the flag in mid, but they wouldn’t take it. So Exa picked up the flag, and dropped it in front of some Horde, but they all had about 10% health left and died. Best time i’ve had in a battleground ever, so much laughing in Ventrilo. We lost the match, but we really weren’t even trying. Next was the Resilient Victory in Arathi Basin. We waited, capped a little to early, so we had to fall back behind again, and still managed to snag the achievement for several people. Freaking awesome game, we had total control of the battleground. We didn’t lose a single battleground (that we actually tried to win). Awesome driving. Fun sniping the whole way! Fixed, sorry. It’s REALLY hard to keep track of this. Feel free to continue and keep me honest! Previous story Doesn’t it look purdy?